I’ve made a lot of albums in my life but none of them compare in popularity to my two golf themed albums. I moved to Asheville in 2004 and quickly became addicted to golf the day I decided to max out my credit card to join the old Holiday Inn Sunspree golf course. My first round on the course I shot 94, in five months of playing there every day I shot a 64 there (it was a short par 68). That shows how much I was practicing and playing (some would say to the neglect of my music, business and relationships). Anyway, one day we were playing that very course when my friend asked me “why don’t you make a golf album?”. I wrote down eight song titles during the round, wrote three songs in line at the DMV the next day and had a full album recorded and on it’s way to manufacturing by the end of the week. “Triple Bogey with 17 Holes to Play” forever entered me into the golf world and I haven’t looked back since. From promoting the album, I joined a golf radio show (speakingofgolf.com) for two years, performed at the Carolina Golf Hall of Fame and at many country clubs around the US, met many of my golf idols and played a ridiculous amount of free golf. Pretty good for an album I wrote and recorded in five days! I finally got around to making my follow-up to Triple Bogey a year ago. I had a lot of golf songs that I hadn’t released and ideas for new ones so I had to get them out into the fairways of life. This album is more acoustic than the rocking full band ‘Triple Bogey’ but the lyrics are much more dense. There are some good story songs and of course a few kooky novelty songs as well. And now I have new golf songs that need to be released like a golf ball in a fried egg lie, but alas, I’m working on a few other albums at the moment so sadly, it may be a while before they fade hook into the world we love. Stay tuned and hit ’em straight! I’ve made a lot of albums in my life but none of them compare in popularity to my two golf themed albums. I moved to Asheville in 2004 and quickly became addicted to golf the day I decided to max out my credit card to join the old Holiday Inn Sunspree golf course. My first round on the course I shot 94, in five months of daily practice I shot a 64 there. That shows how much I was practicing and playing (some would say to the neglect of my music, business and relationships). Anyway, one day we were playing that very course when my friend asked me “why don’t you make a golf album?”. I said “that’s a great idea”, wrote down eight song titles during the round, wrote three songs in line at the DMV the next day and had a full album recorded and on it’s way to manufacturing by the end of the week. “Triple Bogey with 17 Holes to Play” forever entered me into the golf world and I haven’t looked back since. From promoting the album, I joined a golf radio show (Speaking of Golf speakingofgolf.com), performed at the Carolina Golf Hall of Fame and at many country clubs around the US, met many of my golf idols and played a ridiculous amount of free golf. Pretty good for an album I wrote and recorded in five days! I finally got around to making my follow up to Triple Bogey a year ago. I had a lot of golf songs that I hadn’t released and ideas for new ones so I had to get them out into the fairways of life. This album is more acoustic than the rocking full band ‘Triple Bogey’ but the lyrics are much more dense. I haven’t posted a new golf song in a while, so why not begin with one about the site where this year’s US Open will be. This song speculates if there is a golf god he must live in Pinehurst, NC. And if you encounter him on the back nine on Sunday, don’t bet against him. Thanks for listening! After a few densely worded golf songs, the album lightens up a bit with this fun song about a golfers last wishes. In tribute to my song “Bogey Train” from my last golf album, this song is a jaunty number in E major with some harmonica solos and a rare bass solo by me. Inspired by a man I met at Four Winds Country Club in Mundelein, Illinois who now occupies a small portion of #3 green there. He also was inspiration for a segment of my song “Golf Will Always Be My Game” from my other golf album as well. Thanks for listening! Golf Course Superintendents have a hard job. Not only do they have to keep the grass alive and looking good, they have to face down a board or committee and they have to constantly hear feedback about the slowness or fastness of the greens. Some years it doesn’t rain once and some it rains every day. A few years ago I entertained the Carolina Superintendents association and wrote this song for them. I had my buddy, John Crowe, superintendent extrordinaire in mind when I wrote it. Since then, I polished it up a bit and recorded it for my new golf album. This goes out to golf superintendents everywhere. I appreciate what you do! Click album cover to listen to the whole album. This song is about a hippie coming back to the his parents Country Club after he has transformed into a patchouli wearing, Grateful Dead listening, Bio Diesel Bug driving counter culture-ist. The stuffy old members hate it but they can’t kick him out because he is a legacy member and wouldn’t you know it, he’s the best golfer at the club. He wins the member guest with a Rastafarian and then he does the unthinkable as he accepts the Club Championship trophy (you’ll have to listen to the end of the song to find out what). Thanks for listening!! The second song from “Funny Golf Songs Vol. 1”. Inspired by a round of golf I played in Chattanooga where my teammate could not stay out of the woods all day long. He literally didn’t finish the first five holes because he was playing Pinnacle Pinball. Needless to say he didn’t contribute much to the money game we were involved in. I did get this song out of it however, so it was a total loss. 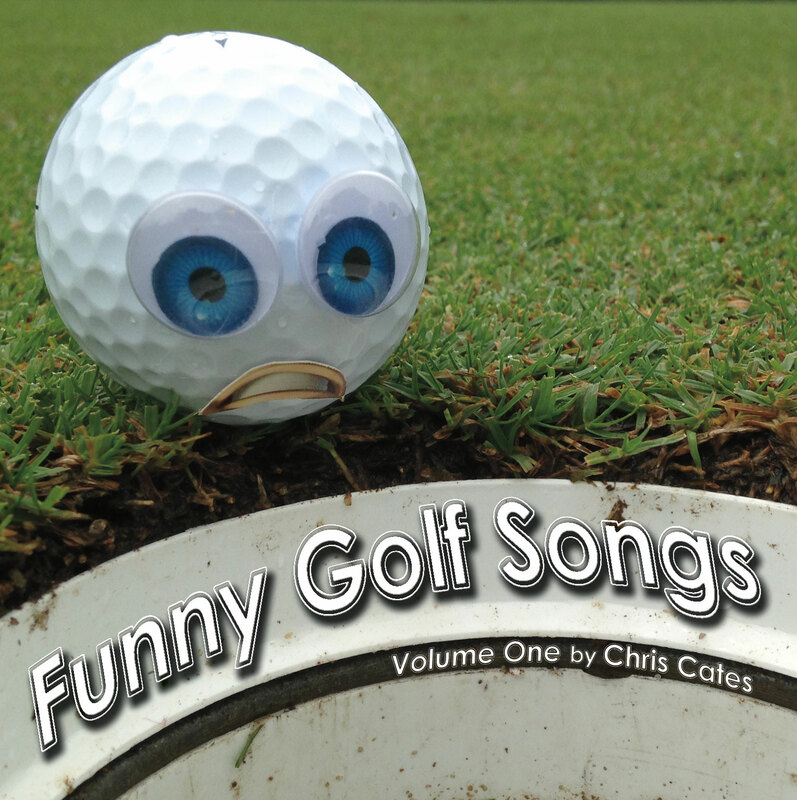 Here’s the first song off of my new album “Funny Golf Songs Vol. 1”. “Texas Wedge” is about the virtues of putting away that wedge and putting it from off the green. Thanks for listening and supporting independent music! Now available on iTunes, amazon, cdbaby etc. The PGA Championship is at East Lake, about a mile south of my house in Atlanta this week. I got to go and follow a few players around yesterday before hitting my little neighborhood course for nine holes before dark. My good buddy and fellow musician, Will Clay and I are defending our title at a golf tournament (The Good Times Invitational) in Rabun county this weekend as well. Hopefully we can repeat! I figured that that was as good a reason as any to post a golf song today. This is a newer one I wrote last year. Hopefully I’ll have a few golf gods on my side this weekend! Thanks for listening! As I watch Darren Clark battle it out with Phil and Dustin Johnson for the Open I couldn’t help but think of this song. Luckily all of these guys avoided a big score on the first couple of holes. Nothing is more deflating than making a mess of your first hole. This song captures that and tells a little story of heart break from tee to green. Listen to the full ‘Golf Album’ and / or buy it here!